Microsoft introduces new AI function in Word that helps users finish their to-do lists. 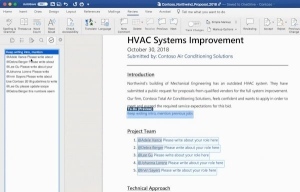 Rather than stopping to create a makeshift placeholder in Word that can be a struggle to find later, users will soon be able to take advantage of Microsoft's newly added AI-powered to-do function that can track your unfinished tasks and invite others to collaborate. This week, Microsoft announced new AI features in Word that will help you create an in-platform to-do list where you can invite others to help out without ever breaking your writing mojo. Placeholders made within a document have more functional capabilities than before thanks to this AI integration. While you're typing away and hit a roadblock or remember something else that needs tending to, all you have to do is, "type TODO: finish this section or <>," and Word will track and add each to a to-do list. By tapping on an item on the list, you'll automatically be redirected to the location of that placeholder in the document where you can continue where you left off. If a to-do requires collaboration or help, just type '@' followed by someone's name and they'll be notified of the item. Microsoft notes that users will soon have the ability to "reply to the notification with their contributions, and those contributions will be inserted directly into the document," but that feature hasn't arrived quite yet. The company promises that the AI used in this function will evolve over time to understand more placeholders and even offer suggestions as to how to complete a to-do item. As these options grow, Microsoft explains that if you select a suggestion such as <>, you'll be able to search for appropriate content from other files and insert relevant information right into the document. 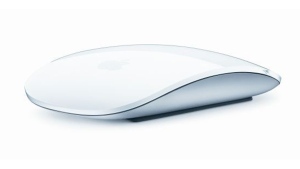 Right now, these features are only available as a preview on Word on the Mac for Office Insiders (Fast). All Office 365 subscribers will have full and official access soon.